Another really pretty card Katherine, you never fail to amaze me with all your different ideas. Thank you so much for sharing with us at Penny Black and More challenge this month, good luck and look forward to seeing you again. Hello again Katherine, could you drop me a mail brenda@ibas.co.uk as I seem to have lost your mail addy. Very sweet card! Great colours! 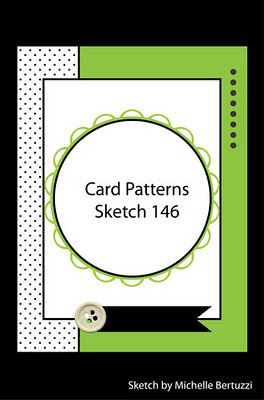 Great take on the Card Patterns sketch!